Buying golf clubs without a personal club fitting is like buying shoes without checking the size! At Pacific Golf Shop we offer a comprehensive service that sees you fitted with the perfect set of clubs. We have a wide range available at competitive prices. Click here to view our youtube tutorial and book a fitting today! We have all the latest brands coming to Pacific throughout the year for Demo Days. Please phone the Pro Shop for further information. At Pacific Golf Club we provide an excellent corporate golf experience. Our exemplary service includes: Up to 6 hours of uninterrupted golf – the perfect opportunity to impress potential new business, connect with clients and team build with colleagues. Logo balls, Logo shirts, Logo headwear, Tee packs and more are available at very competitive prices. Our fully quailified PGA teaching staff can value add to your golf day by providing golf clinics prior to play. One of the most popular corporate involvements for our Professionals is to take up residence on a Par 3 hole and contribute a tee shot to each group while assisting your players with a few tips on their swings. At the Pacific Golf Shop we stock all the latest equipment from all the big brands in golf. In our award winning Golf Shop you will find on display the best equipment from the likes of Callaway, Titleist, Cobra, TaylorMade, Ping, Mizuno and Henry Griffitts. If you are planning a trip to our club and don’t want to bring your clubs or you don’t have equipment, don’t worry! At Pacific we have the latest in hire equipment from Taylor Made full sets to a beginners ½ set, we can set you up with the right gear to help your game. We also have Golf Carts, Callaway Hire Clubs, Club Hire, Pull Buggies and Range Balls. The Golf Shop caters for female golfers with a wide range of clubs and fashionable golfing attire. At Pacific Golf Shop we are passionate about developing talent in our young golfers. We have at our disposal a great Par 3 course for young players who are starting in the game. We offer high quality tuition to golfers of all abilities. 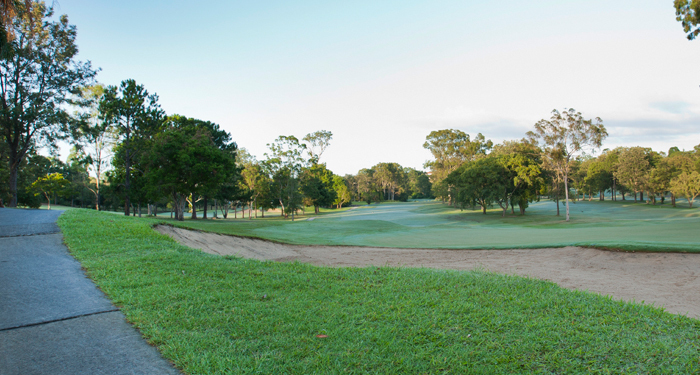 At the Pacific Golf Shop we have an enthusiastic team of award winning, fully qualified Australian PGA Golf Professionals to assist you in getting the most out of your game.